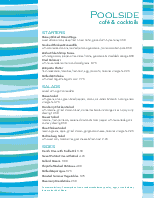 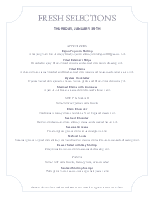 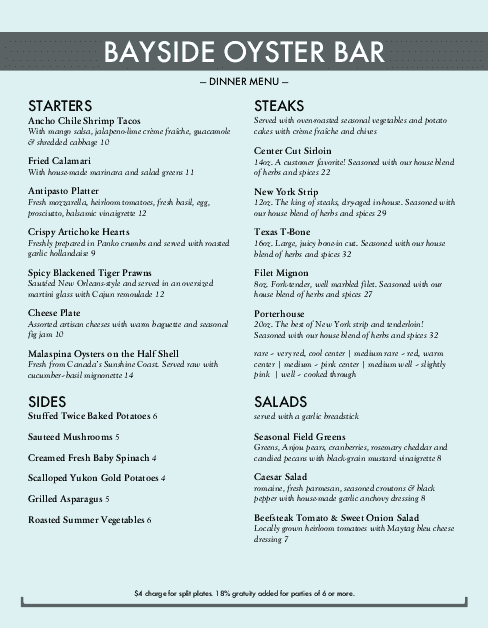 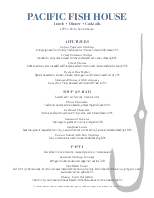 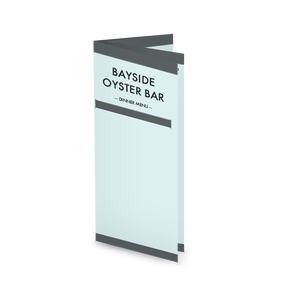 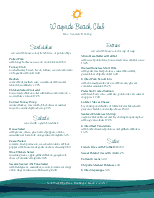 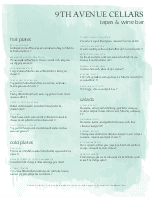 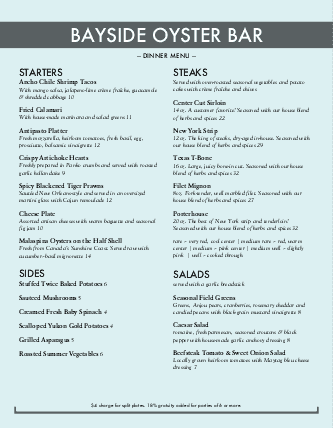 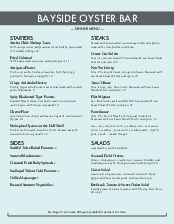 A fresh seafood menu in light blue with a classic bayside dining theme. 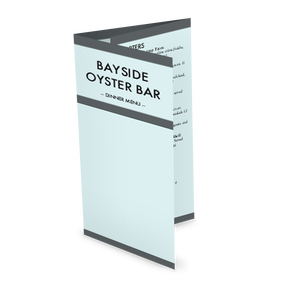 The letter-size template has an ocean blue background with a fish icon at the top. 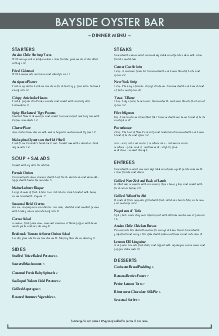 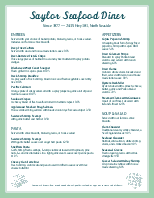 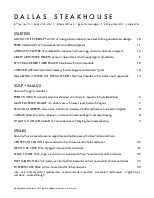 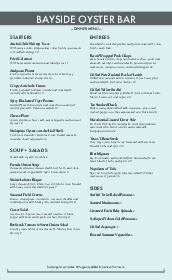 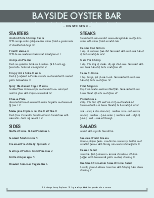 Two columns list chowder, oyster bar, fresh catch entrees and more.